Updated Wednesday January 16, 2019 by Lovejoy Leopards Lacrosse. When does the spring season start? How long is the Spring season? Practices for our spring season will begin on the dates listed below. The season will end in late April/early May. 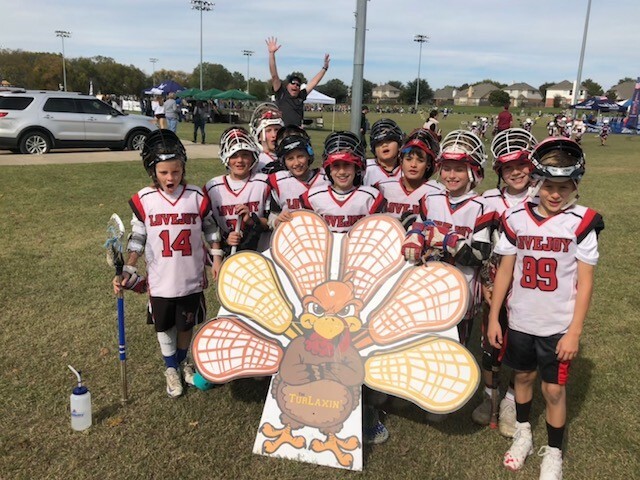 While Lovejoy Lacrosse has both a fall and spring season, the spring season is traditionally the main lacrosse season, and all of our teams will play between 8 - 11 games and participate in the DFWYLL playoffs (depending on the age of the team and their division standings). Other than registration, are there any other fees that I’m required to pay? If your son is already a U.S. Lacrosse member in current standing, then there is no need to re-register. PLEASE MAKE SURE YOUR SON’S U.S. LACROSSE MEMBERSHIP IS CURRENT. You will need your son’s US Lacrosse membership number and the expiration date when you register with Lovejoy Lacrosse. On what days do the teams practice in the spring? How long are practices? Practices will primarily be at Willow Springs Middle School. Due to ongoing construction projects at the High School, we will not be practicing at the High School this spring, and all of our boys’ teams will practice at Willow Springs. We know this will create some crowded practices and is less than ideal, but with everyone’s cooperation, we will make it work until construction is complete. From time-to-time, there may be a conflict with the field at Willow Springs as LISD events have priority. If there is a conflict, you will be notified via email or text that practice is being cancelled or moved to a different location. Lovejoy home games are played at Willow Springs Middle School or Sloan Creek Intermediate School. Away games can be played at several places in the Dallas / North Texas area. On what days do the teams play games in the spring? Games in the spring have traditionally been played on Saturdays. There are some cases where we will play on Sunday afternoons. Dates and times of games for the spring season will be set by the teams in late January/early February. Game information will be posted on our website when the information becomes available. Will my son be able to borrow lacrosse equipment for the season? Yes, we do have player loaner equipment available for beginning players to borrow. Preference is given to first time lacrosse players. 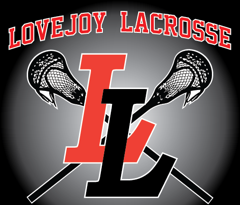 The Lovejoy Lacrosse program has a total of 40 sets of boys’ loaner equipment, in various sizes. The equipment is loaned out on a first come, first serve basis. The loaner equipment requires a deposit of $200. $150 of the deposit is refunded at the end of the season, when the equipment is returned and is in good condition and not damaged. The loaner equipment package includes: helmet, shoulder pads, elbow/arm pads, gloves, and a stick. It does not include: mouthpiece (required), athletic cup (required), rib pads (optional), shoes with cleats (required - football, soccer, or lacrosse shoes are all fine), a reversible team practice pinny (required), and team uniform (required). All BANTAM & YOUTH players are required to get a Lovejoy Lacrosse uniform AND a Lovejoy practice pinny. Lovejoy Lacrosse uniforms and practice pinnies are purchased through Team LAX in Frisco. The price for the uniform is $85, which includes a reversible red and white jersey and shorts. The practice pinny is $25 and is also reversible. We have already sent out the online store info so please order ASAP if you need a new uniform. We are still using the sublimated reversible jerseys that we started using last spring, so you only need to order a jersey if you are new to Lovejoy Lacrosse, if you need a larger size, if you have lost your uniform, or if you haven’t played during the last two seasons. New Players: When ordering your uniform and practice pinny – DO NOT INCLUDE a jersey number. LEAVE THAT BOX BLANK. The club will assign the jersey numbers. Every effort will be made to give new players one of their three preferred jersey numbers. However, we need to make sure there are no conflicts with any of the returning players on the same team or a grade below or below the new player. We will let you know your son's jersey number within the next two weeks. Returning Players: If you are ordering a new uniform – DO NOT CHANGE YOUR SON’S UNIFORM NUMBER. LEAVE THAT BOX BLANK. If you want to change your son’s jersey number, please let us know ASAP. We need to make sure there are no conflicts with any of the returning players. If your son is a High School player, you do not have to order a uniform. The club will provide uniforms and a helmet to each high school player. If there is more than one team at my son’s grade level, which team will my son be on? For our teams, we cap the size of our teams to ensure that everyone gets playing time. Players will be placed on a team by the coaches after coaches have concluded player evaluations. To those of you new to Lovejoy Lacrosse, we have a Red team and a Black team. The Black team is our more experienced and skilled team. However, we attempt to level our K / 2nd grade teams. My son – and I – are new to lacrosse, what can we expect? Expect to have fun and expect to become hooked on lacrosse. There’s a reason why lacrosse is the fastest growing sport in the United States (and in North Texas). It’s a fun, exciting, and fast paced sport and every player on the field is involved and active throughout the game. It’s been said many times, once someone picks up a lacrosse stick and plays the game, they are hooked! Parents love it because the action is non-stop and exciting to watch. Don’t worry if you do not have any lacrosse experience. Lacrosse is an easy game to learn. Make sure to check out our “Lacrosse 101” webpage on our website (www.lovejoylacrosse.com). You will find a lot of information on the game of lacrosse, such as the rules, the lingo, player positions, the field, and penalties.